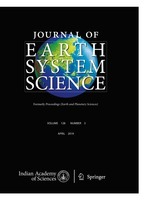 The Journal of Earth System Science, an International Journal, was earlier a part of the Proceedings of the Indian Academy of Sciences – Section A begun in 1934, and later split in 1978 into theme journals. This journal was published as Proceedings – Earth and Planetary Sciences since 1978, and in 2005 was renamed ‘Journal of Earth System Science’. The journal is highly inter-disciplinary and publishes scholarly research – new data, ideas, and conceptual advances – in Earth System Science. The focus is on the evolution of the Earth as a system: manuscripts describing changes of anthropogenic origin in a limited region are not considered unless they go beyond describing the changes to include an analysis of earth-system processes. The journal's scope includes the solid earth (geosphere), the atmosphere, the hydrosphere (including cryosphere), and the biosphere; it also addresses related aspects of planetary and space sciences. Contributions pertaining to the Indian sub- continent and the surrounding Indian-Ocean region are particularly welcome. Given that a large number of manuscripts report either observations or model results for a limited domain, manuscripts intended for publication in JESS are expected to fulfill at least one of the following three criteria. 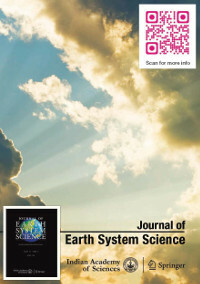 Journal of Earth System Science is now distributed in print outside India and online worldwide by Springer, co-publisher of the journal together with the Indian Academy of Sciences. On Springer, Journal of Earth System Science (www.springer.com/12040) is part of SpringerLink, one of the world's leading interactive databases of high quality STM journals, book series, books, reference works and online archives collection. Print subscriptions within India and open online access will continue to be served from Indian Academy of Sciences.